Bus Driver Avtar Singh is a driver of change- literally and metaphorically. 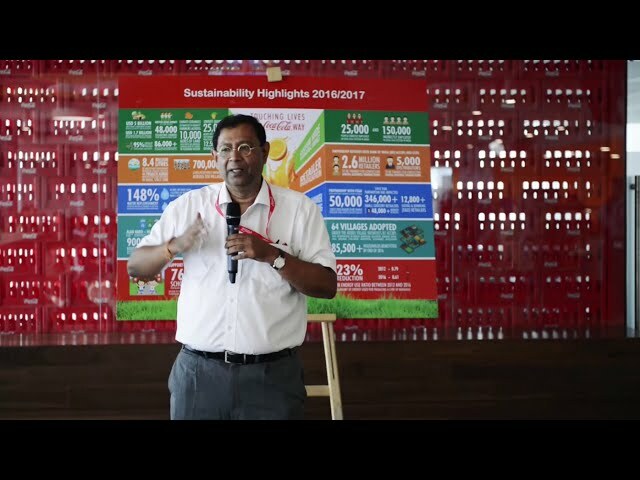 As the driver of the Coca-Cola University on Wheels (now known as the Franchise Capability Services), the middle-aged driver has been seeing kirana store owners climb aboard for food-service training sessions since 2012. In the fast-evolving retail landscape, kirana walas – owners of small general and grocery stores – have been finding themselves competing with large retail chains and online grocery suppliers, as well as dealing with customer demands for better service and hygiene. ‘Parivartan,’ Coca-Cola’s retail skill-building programme, has been training small retailers to satisfy precisely these demands and requirements and raise the quality of their food-service, aiding the government’s ‘Skill India’ programme for capacity building in the process. Singh has been face-to-face with this real India – a mash-up of cultures, languages, music, myths and stories. And he’s seen parivartan (the change) in front of his eyes. Avtar has a unique view of the programme – as a vital support staffer and as the confidant to many participants. As the bus criss-crosses the country, India’s diversity comes alive for Avtar. And, he enjoys the hospitality the team receives everywhere it goes. “Sometimes they call a mantri ji (minister) and sometimes they organise a big pooja to welcome us,” he recalls happily. As it sought to equip kirana walas with the tools needed to succeed, Parivartan reached more than 5,500 cities, towns and villages. For Avtar, however, the attitudinal change dwarfs the numbers. “Now, many more women are attending our sessions. It was common in South India, but now the north is recognising their contribution,” he says animatedly. The Parivartan project has impacted the lives of over 3 lakh small grocery retailers including more than 39,000 women retailers across India. This programme hasn’t just touched them professionally but also personally. Retailers are no longer intimidated by modern trade- they are hungry to learn more and are ready for the future. The Parivartan project aims to train around 3,50,000 small retailers by 2017.